Do you have a book blog? Do you like to send and receive holiday gifts? 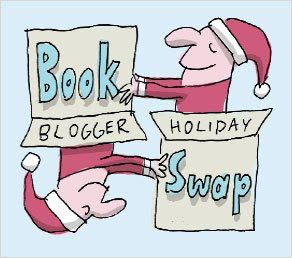 If you answered ‘Yes’ to both of those questions, you should probably get in on the Book Blogger Holiday Swap. I’ve taken part for the last two years, and it’s been fun and positive each time. I look at the swap as my chance to make another book blogger’s day. And that, my dears, is a VERY rewarding feeling. Are you in? Go check out the sign-up post and get involved. After all, the holidays are coming soon! Thanks for the reminder. Just signed up!